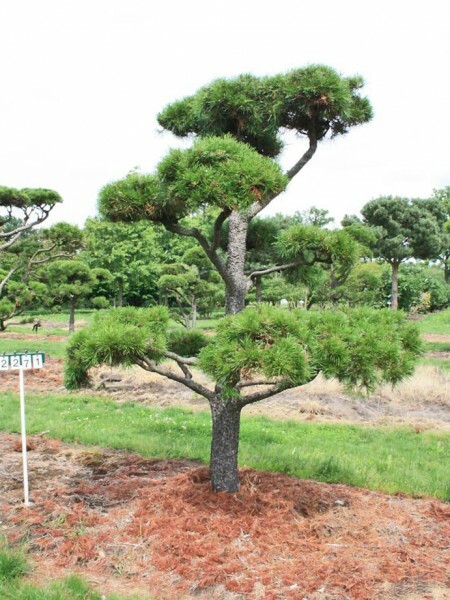 Pinus contorta is a medium sized evergreen that is tough and resilient; growing on poor soils and is resistant to winter cold, spring frost, exposure, air pollution and salt-laden winds. Its branches arch upward with long dark green needles; the bark furrows as the trunk matures. Can also be available as a topiary plant, for instance as a large bonsai. These trees can be referred to as Beach Pine, Beech Pine, Lodgepole Pine or Contored Pine. It can grow up to 8m in height.